In February 2012, The Economist reported that Russia’s state-owned Sberbank had become one of the best performing corporate stocks in a decade. Every $100 invested in the company in 2002, was worth $3,700 in 2012. Sberbank came second only to Apple, which for every $100 invested in 2002, was then worth $4,000. Although Sberbank’s stock declined following economic sanctions against Russia the bank continued to grow and will report record profits for 2015 despite a deep recession in the country. At the same time, Aeroflot, former Soviet airline-monopoly, was on a new flight path to global renown. In just five years (2009-2014) it increased passenger turnover from 8 to 21 million a year. Its revenue rose from $2.8 billion to $7 billion and its net income from $122 million to $281 million. Aeroflot won a number of European rewards for the quality of service and safety. Both companies were notorious for poor service, obsolescence and their uncompetitive Soviet mentalities before their spectacular turnarounds. The rapid transformation of these companies was largely driven by two super-ambitious CEOs – German Gref (Sberbank) and Vitaly Vasiliev (Aeroflot), who approach business in a similar way, share a number of personal traits and even have the same favorite book; “A Complaint is a Gift”, by Janelle Barlow. They epitomise what I call ‘athletic leadership’ and prove that even State-owned companies could become agile, learning and high-performing organisations. Both German Gref and Vitaly Saveliev are fanatics of fitness and sport – Gref runs five miles every morning and plays basketball with his team every week; Saveliev plays tennis, swims and works out in the gym. It’s the athletes’ mentality that makes the two leaders special. After fixing fundamentals at Aeroflot which was in dire shape in 2009, Vitaly Saveliev set his sights even higher. Having confessed to us for our case study on the company’s turnaround that before his appointment as CEO he’d always avoided flying Aeroflot, he now wanted to make Aeroflot one of Europe’s top carriers in customer experience, market share and profitability. When asked “How would an industry novice do it?” Saveliev did not hesitate to answer: "I will learn from the best". Both champions had no industry background. Although Gref had been Sberbank board member and Saveliev flew dozens of airlines as a passenger, it was not enough. Immediately after becoming CEOs they threw themselves headlong into learning the nuts and bolts of their operations and instill learning cultures in their companies. During his first six months, Saveliev and his team spent four hours every Saturday listening to strategy consultants from Bain and McKinsey and learning the foundations of civil aviation. Saveliev says a number of initiatives came out of these sessions, such as the significant flight weight of newspapers and magazines, which cost the airline extra fuel. By subsequently limiting magazine choice, Aeroflot saved $17 million a year. Bain also helped plug the problem of passengers upgrading their service class with bribes to stewards. The Saturday workshops confirmed in Saveliev’s mind that the airline business is a service business. He soon created the position of Vice President for customer service, reporting directly to him. They then set about changing the aspects of the service that had a huge impact on perceptions of the airline: in-flight staff training, uniforms and in-flight food. Aeroflot sent in-flight staff to the Singapore Airlines training academy, redesigned its uniforms and changed key aspects of the food and beverage service. They started serving Chivas instead of Moldovian brandy and introduced Russian ice cream. Years later, Aeroflot’s uniform would be voted the most stylish in a passenger survey by Skyscanner. Aeroflot also went on to win a Skytrax award for “most improved in-flight service”. Gref learns from multiple sources – seasoned industry executives, management gurus, books, fellow CEOs from other companies, Sberbank employees and customers. He introduced a practice of all senior executives, including the CEO, spending a day every month servicing customers at a Sberbank branch. Gref created Sberbank’s Corporate Library, which contains not only business literature but books about improving personal relationships or health. Rumors say that he reads them all and regularly tests other Sberbank employees on whether they do the same. A learning fanatic, Gref was also a great fan of lean production, a management philosophy derived from Toyota, and created “Sberbank Production System” and sent executives to Toyota factories in Japan to learn firsthand. Today there four lean laboratories at Sberbank educating employees who later become agents of lean change in the organisation. It was by listening to customers that Sberbank also upped its game. An entire complaint and claim management process was built from scratch, while service quality indicators were added into the motivation system for certain employee categories. Technological enhancements sped up branch interactions and staggered lunch breaks kept branches open with immediate positive feedback from customers. Queues were soon reduced by 35 percent and retail sales increased 2.5 times. Both Gref and Saveliev understand that it is not possible to build first-class organisations alone and surrounded themselves with determined and capable executives. However, the leader-team dynamics at their companies do not fully correspond to the popular recipes of EQ-based inclusive and enabling leadership. Continuing with a sports analogy they are demanding captains of their teams rather than wise coaches. Their focus is on the game – the business - rather than on people with whom they play. They set the goal and invite others to work together to achieve it. They are great at challenging their executives and less skillful at supporting or mentoring them. Shamil Kurmashov, Aeroflot’s VP: “Saveliev is tough, he likes to say “I am a composer – you are performers”, but he is always concentrated, never late, loves structure and he delivers”. Both leaders look for competency in their hires but fire those with bad attitudes. Gref let go a few members of his team when he felt they became too complacent or even overweight. Athletic leaders test newcomers intensely and let them run on their own when the latter have proved themselves. They reward their teams efficiently, but do not tolerate any dissent. Both Sberbank and Aeroflot executives admit how challenging it is to work for their leaders who require full dedication, high performance, constant learning and offer little traditional help in terms of constructive feedback or formal mentoring. However, the leaders do two things that make working for them an exciting experience. First, they invite team members on a unique journey, offering the opportunity to participate in building and operating world-class organisations and they provide adequate resources for that. One member of Sberbank’s board said, “I did not think I would ever work for Sberbank, but when I met with Gref and he shared his plans to build a leading financial institution, I jumped on the opportunity”. Combined with high energy and an unquenchable thirst for knowledge, this ambition has so far created powerful organisational momentum and delivered remarkable business results for both. As for their next big challenges, both leaders say they are preparing their successors, but is it possible for an active super-star player to groom another? Time will tell. 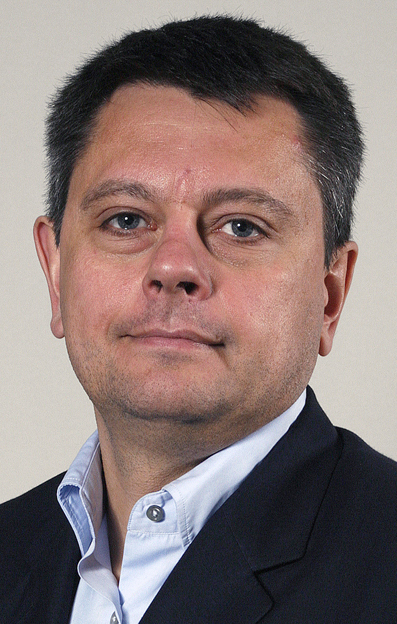 Stanislav Shekshnia is an INSEAD Affiliate Professor of Entrepreneurship and Family Enterprise. He is also the Co-Programme Director of Leading from the Chair, one of INSEAD’s Board Development Programmes and a contributing faculty member at the INSEAD Corporate Governance Initiative.